The main developer of Minecraft PC-version has pleased eager Pocket Edition fans, which are very, very expect a new version! 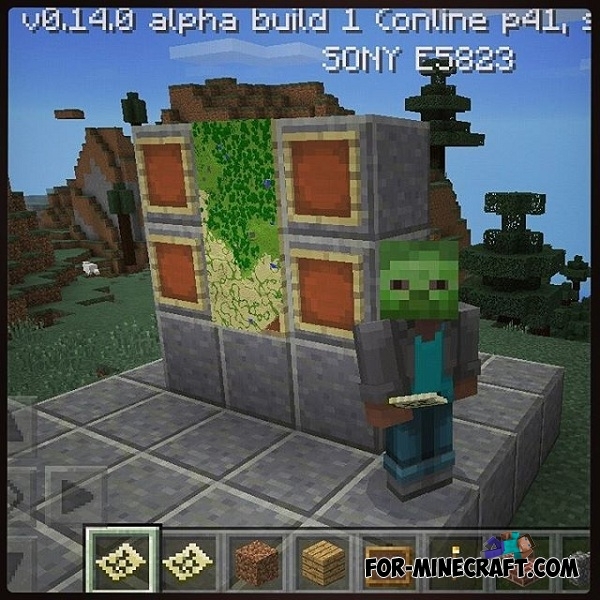 You can see the following in the screenshot: Jeb's character has inserted map in the picture. This means that players will be able to create entire paintings from terrain maps on the walls own houses. Mo 'Terrain Armor mod for Minecraft PE 0.11.1 / 0.11.0The mod adds to the game 7 new types of armor, and each has a unique effect. NoBlocks Mod (Sloped Nature / Smooth Terrain) for Minecraft PE 0.10.5NoBlocks Mod - This modification adds a sloping blocks in Minecraft Pocket Edition.